I have added more news. This is very current stuff. HUGE NEWS: The Poetry Foundation selected my manuscript Half-Hazard as the winner of the Emily Dickinson First Book Award. It was published by Graywolf Press on November 6th, 2018. Learn more about Half-Hazard. 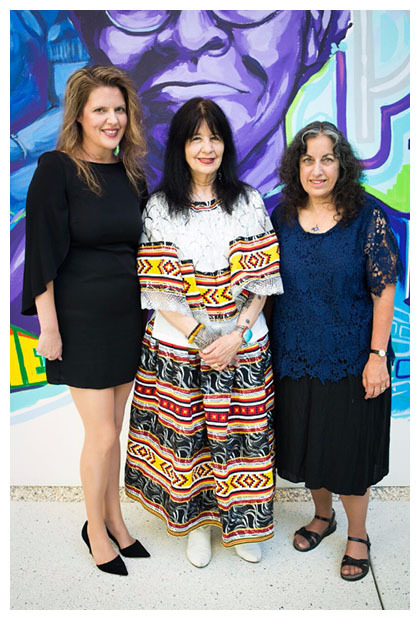 Here's a photo of me and Ruth Lily Poetry Prize Winner, Joy Harjo, and Margarita Engle, Young People's Poet Laureate, at the Pegasus Awards. My latest middle-grade novel, Totally Crushed, was released May 9th, 2017. It is the second book in the Project (Un)Popular series. I left California and moved to Rhode Island and moved back to California. My aged and travel-resistant cat hates me. I learned how to swim. All four strokes. I’m a fully self-actualized human being now. I'll be giving a lecture on how to build authentic characters at Storymakers Conference in Provo, Utah in May in 2017. And I'll be talking with my agent, Sara Crowe, about how to incorporate feedback in revision. I went to Transylvania with my husband and toured castles and bear preserves and ate a bunch of meat. My childhood news anchor, Karole Honas, interviewed me for my hometown television news. Bucket list moment. I read for Writer's Block on KQED. There have a bunch of great people over there. You can access my reading through KQEDor iTunes or NPR, or you may download it. Ted Kooser, former US Poet Laureate 2004-2006, selected my poem "Rain at the Zoo" to be reprinted in American Life in Poetry. I wrote the introduction to this 826 Quarterly (it has great stories and poems written by people age 12-18 inside it). News is over. I want to say thanks to my readers. You send me the nicest letters and emails. I love them. Seriously. You are all wonderful. Thanks.